Putting the sun in sunshine and the dandy in dandelion is Toowoomba’s Carnival of Flowers, which annually sees city slickers abandoning the drab CBD in preference for a weekend full of colourful fun in the country! But beyond the flowers, this western city’s scene has sprung to life in recent years. Its foodie trail is now well cemented, with new trendy cafes, bakeries, breweries and wine bars popping up like daisies. Keen to turn your visit into a legit foodie getaway? Here are some of the hottest spots to start your culinary journey. You know what goes perfectly with begonias and bellflowers? Booze. And it’s something that 4 Brothers Brewing do oh so well. Having opened earlier this year, the guys pride themselves on custom creations – like the special Hibiscus & Elderflower Saison released exclusively for the festival. Do the flowers a favour; save water and drink beer instead by dropping in for a pint (or two!) at 4 Brothers Brewery. If you start craving food that’s both hum-bill and duck-tastic, be sure to take a break from the flowers and head over to The Baker’s Duck, a gourmet bakery that knows all about flour power. 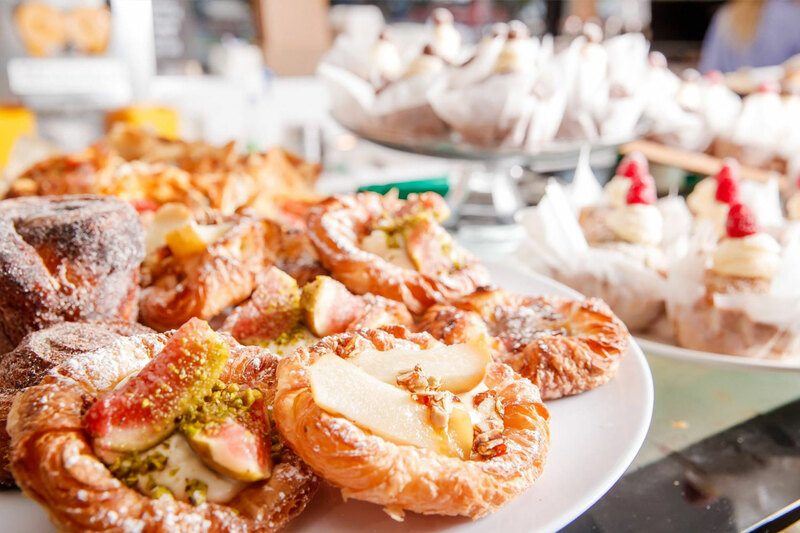 Everything they have on offer, from their decadent tiramisu cruffins to their quackin’ croissants, will have you saying thanks a bunch! For amazing coffee that gets the bees buzzing and the cows to come home, take time out to poppy into Milk & Honey Espresso Bar. Serving up fresh blends that could be mistaken as nectar for the gods, locals know that this coffee bar offers delicious brunch options too (hello mushroom croquets!) The perfect pitstop on the way to the carnival! If standing among the tall sunflowers at this year’s carnival starts to make you feel small, reach new heights at Muller Bros rooftop restaurant and bar. Boasting an impressive menu alongside amusingly- named cocktails (Shortness With Attitude anyone? ), check out Muller Bros for a delightful post-flower feed and tipple. 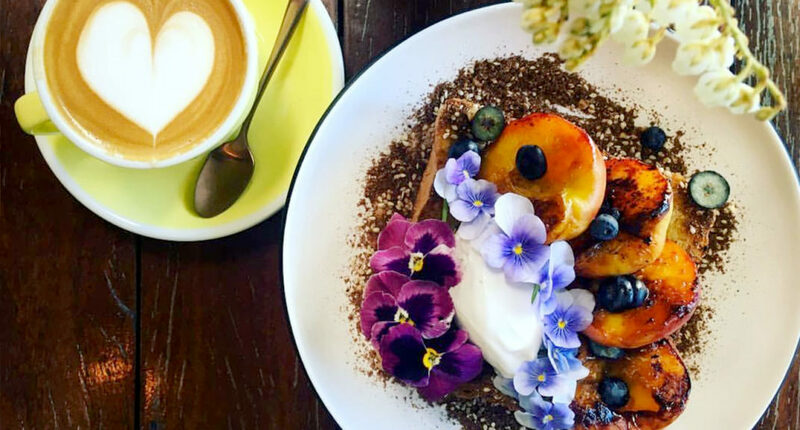 Spring has well and truly sprung at Ground Up Espresso – its trendy laneway setting and friendly fun atmosphere makes it the ideal location to stop and smell the flowers. The scrumptious menu has an abundance of delectable meals on offer, such as its orange and cranberry muffins whose colourful appearance will have you saying aloe you vera much! For a grand end to your foodie escape, make your way to Gip’s. Located in one of Toowoomba’s most historic buildings – 1860s mansion Clifford House – lunch here served with a slice of the city’s past. Casual yet sophisticated, Gip’s offers a cafe style lunch, morning or arvo tea and cocktails. We recommend a visit for dinner – because the roast figs, Moreton Bay Bug ravioli, Bunya pork belly and soft shell crab pakora are as decadent and delicious as they sound. Here’s a peony for your thoughts; before all the flowers there was Little Seed, a beautiful café providing wholesome, hearty food in a sustainable way. Striving to minimise their carbon footprint, Little Seed’s menu is 100% vegetarian and gluten free. So if looking at AND eating plant-iful goodness appeals to you, make sure to head down for all day breakfast, lunch or dinner. The chickpea flatbread with beetroot hummus is a G&G fave! People from all over the country head to Toowoomba to check out the colourful, carefully maintained gardens but why spend all day in the sun when Charred are bringing that same level of detail to their beautiful take on modern, Australian cuisine? For a meal that’s as incredible on the eyes as it is on the tastebuds, Charred on Margaret Street is where you need to be. We can’t go past the whole Snapper stuffed with Australian florals. It’s like a garden that you can eat… in a fish. 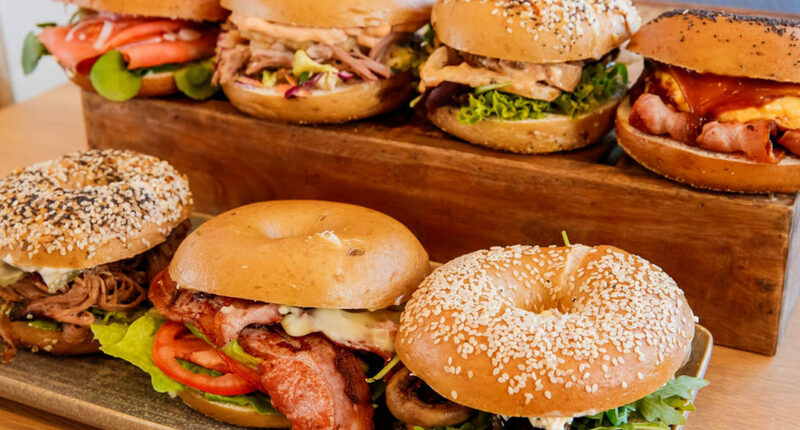 They may be new to Toowoomba, but we’re very familiar with The Bavarian and their wunderbar menu of Bavaria-inspired favourites starring steins overflowing with crisp, imported beer and house brews from Urban Craft Brewing Co. Strategically located on level two of Grand Central, diners will be treated to scenic views of the mountain range and the hordes of teenagers hanging out in the Maccas’ carpark. Don’t worry, it’s impossible to notice them with a pan-fried, crumbed chicken Uber Schnitzel on your plate. Born from the front bar of Fitzy’s (an all-time staple of the Toowoomba night life) Tapestry’s comfortable and elegant design might take you by surprise when you step off the street and into this timber-clad throwback. Designed to be a chill place for chill drinks with friends, you could split a plate of chicken wings with your mates but it’s hard to resist the Gnocchi with pumpkin, spinach, pine nuts, fetta, caramelised eschalots and sage butter sauce. For a spring foodie weekend with a side of flowers and frolicking, do as the Pet Shop Boys do and go west.